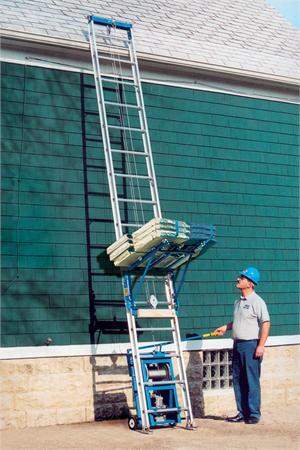 Reimann & Georger Platform Hoist 200 PRO-G 44' With 4-HP Briggs & Stratton Gas Engine are the most economical, safe and labor saving method of raising materials to the roof on residential and commercial jobsites. 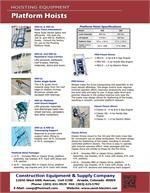 Models are available in 200 lb. and 400 lb. 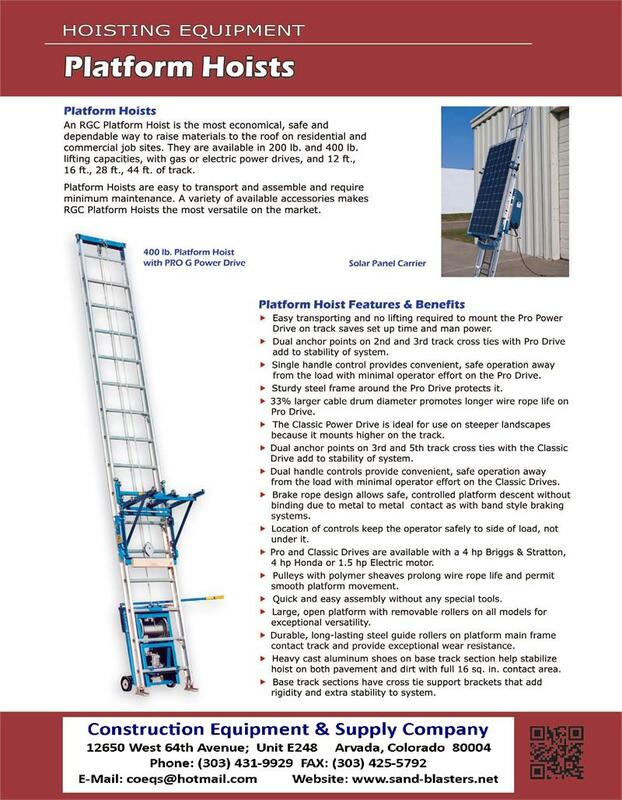 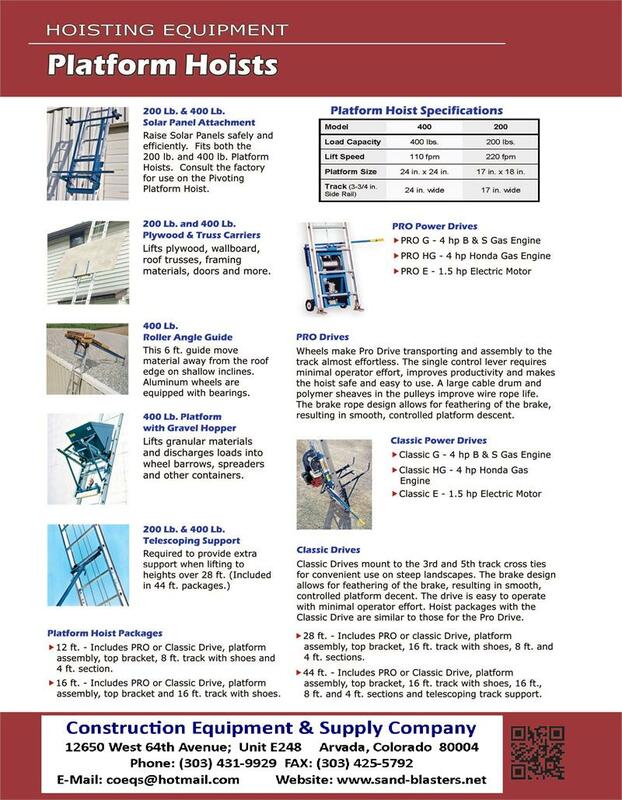 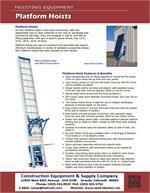 lifting capacities, with gas or electric power drives, and 12 ft., 16 ft., 28 ft., or 44 ft. of track. Transporting and assembly are easy; maintenance is minimal. 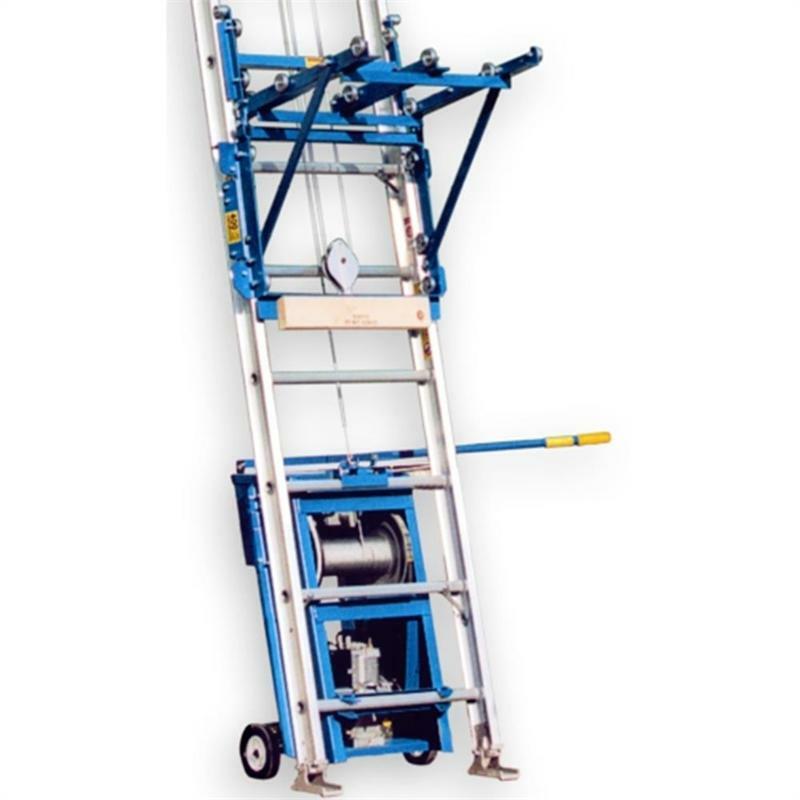 * Brake rope design allows for 'feathering' of brake, resulting in a smooth, controlled descent of platform.